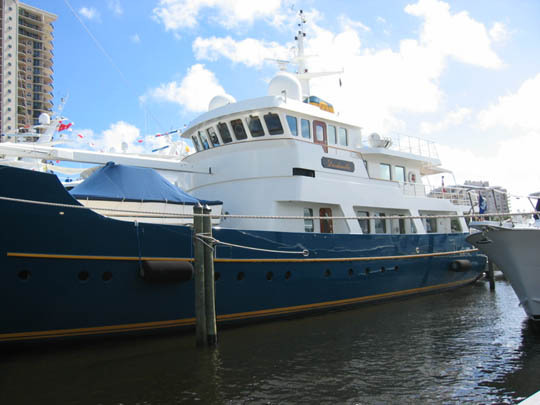 37m (121ft) motor yacht Dardanella is a beautiful explorer-type modern, trawler-style vessel, launched by the prestigious Dutch builder Vitters Shipyard in 1998. With the last refit in 2010 by Pendennis, Dardanella superyacht is designed by renowned Vripack Naval Architects, featuring a lovely interior by De Ruyter. 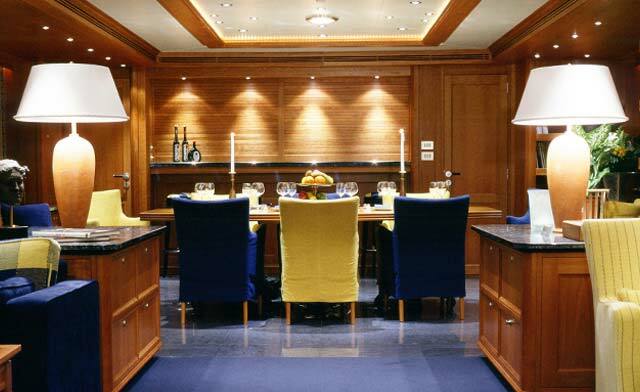 The yacht accommodates up to 12 charter guests over 6 deluxe cabins with ensuite bathrooms. There is a crew of 7 offering high-quality, friendly service ensuring everyone has a relaxing time on board. 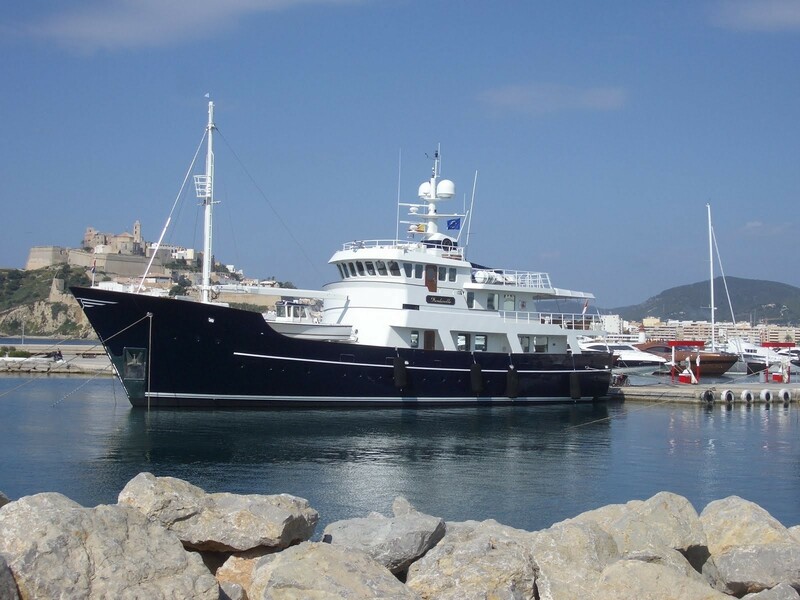 Vitters luxury yacht offers comfortable and spacious accommodation to up to 12 guests, looked after by an excellent crew of 8. 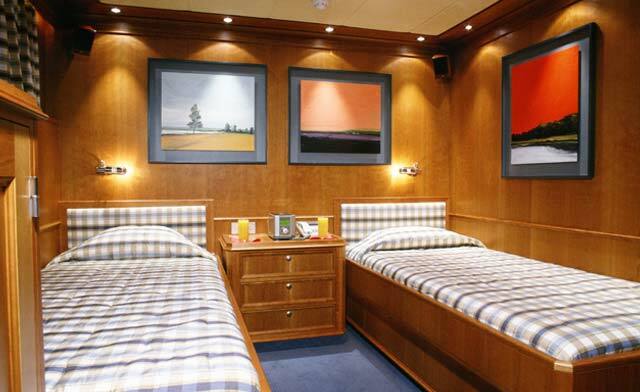 There are 6 lovely staterooms, along with 4 crew cabins. 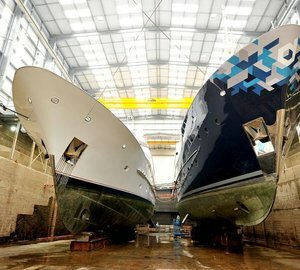 Twin Caterpillar 3408E diesel engines are capable of propelling the 37m superyacht to the maximum speed of 14 knots, with a cruising speed of 12 knots. Boasting a steel hull and aluminium superstructure, Dardanella has a beam of 8.17m (26´8´´) and a maximum draught of 2.44m (8´). She is MCA classed. 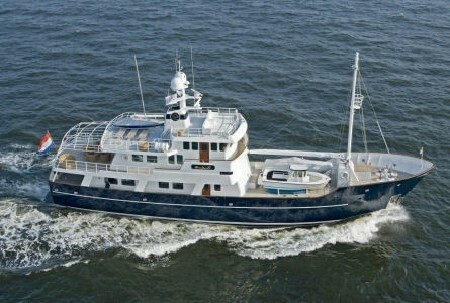 Vitters superyacht Dardanella provides up to 12 guests with comfortable and spacious accommodation. She is managed by an excellent crew of 6. 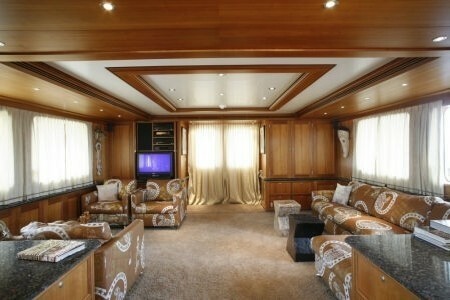 There are 6 beautiful staterooms, along with 4 crew cabins.